I am a partner in our Corporate and Commercial Team. I have over 25 years’ experience in advising both publicly listed and private companies in all areas of corporate law. 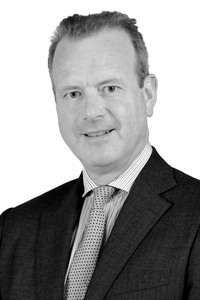 I advise on mergers and acquisitions in the UK and overseas, fundraising, commercial contracts and corporate governance. My clients principally come from the Life Science and Technology sectors. I have worked together with my clients on their listing on major Stock Exchanges as well as supporting them on their growth by acquisition. I work together with clients and negotiate their major business contracts. I trained and qualified at Simmons & Simmons into their corporate finance department. I have previously been a Corporate Partner at Clyde & Co and more recently the US law firm Brown Rudnick working as a Partner in their London office within the Corporate and Capital Markets group. In my spare time I enjoy playing sport as well as coaching and I am a qualified cricket coach. I also write novels and my first work was published in 2015.